This guide explains some of the choices you and your electrician will make in creating a safe way to charge your Tesla. While we don’t recommend you do the work yourself, it is smart to understand the various choices and what they mean. To find out the minimum outlet required, enter your model. If you plan to charge in freezing temperatures, set the adjust to Yes to compensate for additional power needed to heat the battery. Also set how many miles you typically drive in a day and the planned charging start and end times. For example, many power utilities offer a lower rate if you charge between midnight and 6am, so this may be your preferred charging time. If you have the same power costs around the clock, then perhaps you start charging when you typically arrive home at 6pm and stop when you leave at 7 am. The objective is to find a starting point for how much power you need based on your specific car and time available to charge. * Additional charging hours are necessary and/or shorter daily travel. If you only need a lower power solution today, you may still want to consider one of the higher power options, such as a NEMA 14-50 outlet, or a Wall Connector. For example, let’s say you used our range calculator and found that a NEMA 6-20 (240 VAC, 20 amps) would be adequate for your daily charging needs. If you buy a different EV or have a friend that needs to charge when visiting, or you think you might change jobs in the future that might lengthen your commute, then starting out with a higher power outlet or Tesla Wall Connector might be wise! ** 72 amp charger for S100 prior to Nov-2018. Current North-America vehicles are limited to 48 amps. Vehicles with 3-phase charging such as Europe, are unchanged. Power lines to your home arrive underground or overhead from a large transformer. There are three wires, shown in the diagram as blue, white and red. The 240 volts is between the blue and red wire, while 120 volts is between the blue and neutral white wire, and between the red and neutral white wire. These colors are just for illustration, and usually the real wires are all black or the neutral may be a bare wire. 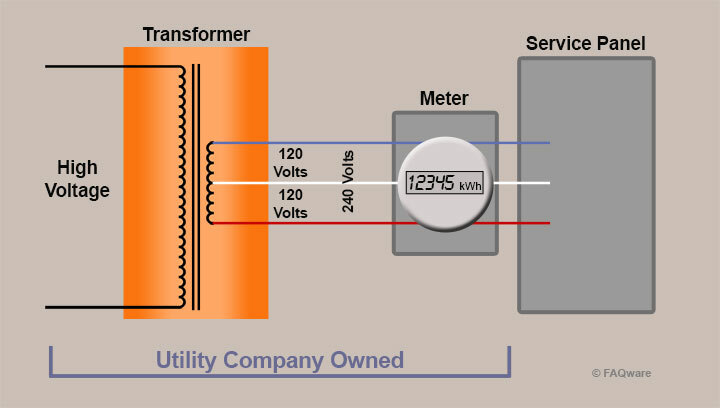 The three wires pass into the meter to monitor how much power is drawn by your home. The wires then feed from the meter into your service panel. In most cases, the utility service wires are made from aluminum. In many homes the service panel is also the main distribution panel with all the home’s breakers. In some homes, the service panel feeds a secondary breaker panel. The power is then distributed to appliances, lights and outlets throughout the home. The service panel or breaker box distributes power to your home. A home often draws its total power from 100-amp service to 200-amp utility service. Small houses, some condos or very old houses might only have 60-amp service. Very large houses with major electric appliances, heating and cooling may have 300 or 400-amp service. Your incoming utility service panel usually has one large breaker, separate from all others. This breaker rating shows the service capacity. An electrician can evaluate if there is adequate power for the home and the necessary open breaker slots for your planned EV charging. This is also the time to consider if you might get a second EV in the future (i.e. two vehicles charging at the same time), add other major electrical appliances such as air conditioning or add a solar array. These may influence a panel upgrade and upgrade sizing. Increasing the home power is rarely a trivial task nor cheap. On the plus side, for an older home, you’ll get a new breaker panel that is modern and safer. Ask for a panel that has room for expansion, with at least 4 free slots once the project is complete. A circuit breaker protects your home from an electrical load that is beyond the capacity of the wiring or outlets. Without a circuit breaker, a short or overload is likely to cause wires to overheat and possibly catch any combustible material near the wires on fire! 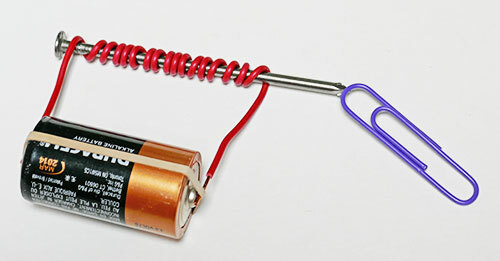 At one time in your youth, probably in some science class, you wrapped some wire around a nail and then connected it to a battery and, lo and behold, you could pick up paperclips with it. When you disconnected the battery, the paperclips fell to the floor. What you discovered is that when electrical current flows through a wire, a magnetic field is created around that wire. Wrapping many turns of the wire around an iron nail essentially concentrates that field making it strong enough to pick up the paper clips. The more current that flows, the stronger the magnetic field. Keep this in mind. You also know from practical experience that as you heat things up or cool them down, their dimensions, length, width, thickness, change. You know not to fill an ice cube tray (if you still remember how we made ice before the introduction of automatic ice makers into homes) all the way up because water expands quite a bit as it gets cold and freezes. Most substances don’t change as much as water does and most actually shrink as they cool, but you get the point. Different substances expand and contract at different rates. Now imagine two paper-thin strips of different materials that are bonded together back-to-back, as you heat this up, the two strips change their length. But, if we select the right substances, one strip grows longer substantially faster than the other and this causes the bonded combination of the two to bend, to curve as one side gets longer faster than the other. The last thing you need to know is that as an electric current flows through a conductor, the conductor heats up. Some do this more than others, Copper, what we often use for electrical wire, doesn’t do it as fast as say nickel-chrome which is what we make electrical heating elements out of. 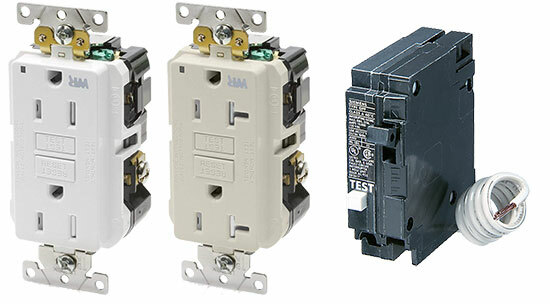 With these prior things in mind, we’ll show what trips a common household circuit breaker! The common breaker contains two tripping mechanisms. The first is an iron rod with a wire wrapped around it. The current through the breaker causes the rod to become a magnet. If the current gets too high, the magnet gets strong enough to pull the mechanical trip mechanism to trip the breaker. Remember when you picked up paper clips and then disconnected the battery? The paperclips fell as soon as you disconnected, didn’t they? The magnetic field appears and disappears and shrinks and grows virtually instantaneously with the rise and fall of the current, so this trip mechanism in the breaker reacts instantly to sudden large currents. 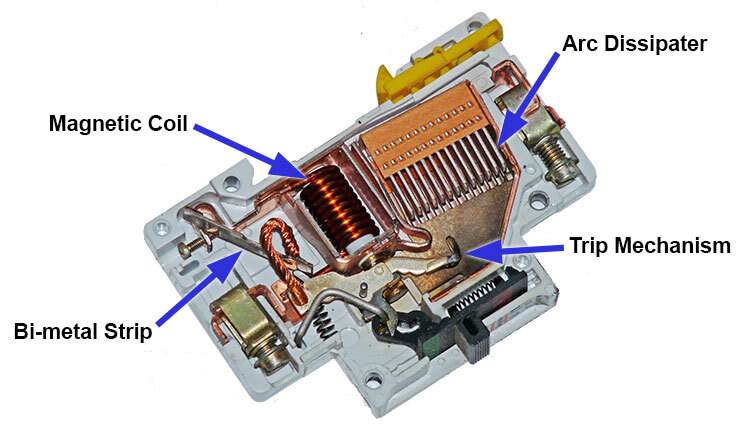 The second trip mechanism in a common breaker passes the current through a small heating element which heats up a strip made of two different materials bonded back-to-back. As the current flows, the heating element heats up. If it heats up enough, the strip bends to touch the trip mechanism, which disconnects the power. This mechanism responds to low/slow faults in the circuit, a sustained drawing of even just a couple of amps over the limit. But, because it takes time for the heating element to heat up, this mechanism allows devices to draw a “surge” or “inrush” current at start up. Motors often draw a high current at start-up as they overcome static friction. Heating elements also often draw a higher current when they’re cold until they heat up. When the breaker handles a short circuit, hundreds of amps may be flowing for a very short duration. As the breaker opens, an arc forms between the contacts. An array of thin copper plates that are not electrically connected to each other serve to dissipate the arc away from the contacts. A big thanks go to our guest columnist Chuck for explaining breakers! There are many breaker types, but the breaker must match the service panel design. 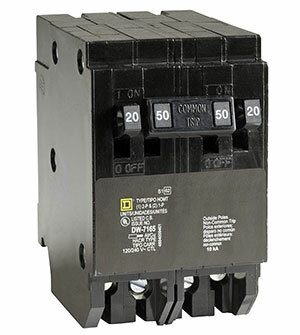 Some of the popular breakers include those made from GE, Eaton, Homelink, Murray, Siemens and Square D. A breaker for a 120 VAC circuit fits into one slot, and a 240 VAC breaker fits into two adjacent slots. 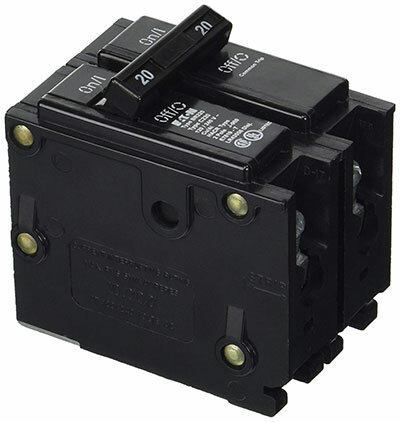 Some manufacturers offer a quad breaker that fits into 2 slots that controls one 240V circuit and two 120V circuits. If your panel has no open slots, you may be able to replace two breakers in two slots with a quad breaker in those same slots. Code appears to allow a 40-amp breaker and circuit for a 50-amp NEMA 14-50 outlet for one very specific case – a range or oven that is always left plugged in. There is no 40-amp outlet made, so using a 50-amp outlet appears acceptable in this one narrow case. We cannot find any allowance for use of a 14-50 outlet for any other use. It’s our opinion it’s a bad idea, and very likely against the NEC code to have an exposed 50-amp outlet in your garage that is connected to a 40-amp breaker and related undersized wiring. Do not let anyone talk you into this risky setup. 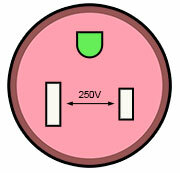 In a two-wire circuit, be it 120V or 240V, there are two wires. (We’ll get to the ground wire in a moment, trust me.) In 120V two-wire circuits in North America, we call these Hot and Neutral. Hot is usually color-coded black, and sometimes red). Neutral is always color-coded white. Current flows from the Hot to the Neutral. Along the way, that current can do some work. But, regardless of the work that is done, the amount of current flowing in the Hot wire should always be the same as the amount current flowing in the neutral wire. In a 240V two-wire circuit (again, we’ll get to the three-wire circuit in a moment, trust me) there are also two wires. We call them Leg One and Leg Two or just L1 and L2 for short — short nomenclature, that is, not short circuit. Sometimes, the wires are color-coded black. Sometimes one is red. Sometimes one is white but painted black or red, or wrapped with some black or red tape; this is called “decoding.” In this case, current flows between the two legs so that the current in L1 must equal the current in L2. Again, there might be some “leakage” in “the real world” and code allows up to 20 mA. 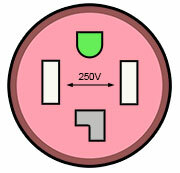 In a three-wire 240V circuit, there are three wires. They are called L1, L2, and Neutral. Neutral is always color-coded white. L1 and L2 may be both black, or one black and one red. Decoding techniques may be used here to color code better. 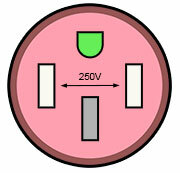 In the two-wire 240V circuit, 240V is the only voltage you can get. In this new three-wire circuit, you can get 240V between L1 and L2, or you can get 120V between L1 and neutral, or you can get 120V between L2 and neutral. Current in this circuit is tricky. Basically, current in L1 minus current in L2 plus current in neutral must equal zero. But, again, code allows for 20 mA of “leakage.” The advantage of the three-wire circuit is that you can get the 120V which is easier to work with for some applications. Consider a clothes dryer, for example. 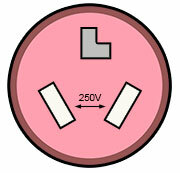 The heating element uses 240V between L1 and L2, but the drum light bulb may run from 120V. What about the ground wire which is often just bare copper or may be insulated with green plastic or green with a yellow stripe? That is a safety measure. It’s attached to any exposed metal on the appliance so that if something inside breaks and the hot wire or L1 or L2 touches the metal which may be touched by the user, that current immediately flows through the ground wire tripping the breaker and making the situation safe. Normally, no current should flow in the ground wire. Think of it like the overflow drain on your sink. Normally, no water flows down the overflow drain. The overflow drain’s only functions in an emergency if you leave the water running too long. In the case of the ground wire, it’s not too long that counts, but voltage in the wrong place. A Ground Fault Circuit Interrupter is a safety device that monitors the current in the hot, neutral, L1 and L2 wires as appropriate for the circuit involved. If it detects any missing current — well, more than 20 mA of missing current — then it shuts everything off virtually instantly. When more than 20 mA is unaccounted for, it’s better-safe-than-sorry, best to shut everything off. So where does current leak to? Well, the ground wire is one possibility. Remember, any exposed metal is connected to the ground wire. If an internal fault develops inside a device such that hot, L1, or L2 touches any of that exposed metal, the current flows to ground and the GFCI sees it as leakage and shut down the party. But there is a more sinister option. That current could leak through your body. And 50 mA is likely fatal. So, again, it’s good to shut things down. But if current enters your body, why does it flow? Where does it flow out of your body too? The most common answer is that it flows through something wet and then to ground. This is why GFCIs are required on outlets used in bathrooms, laundry rooms, kitchens, garages, outdoors, around swimming pools and spas, places that can be expected to be wet. You don’t need water to have a ground fault. An internal fault in a device can cause a ground fault too! Tesla includes a GFCI in the Mobile Connector and the Wall Connector. There should be no need for an expensive GFCI breaker on a 240V garage circuit. A GFCI is required by code on all 120V circuits in the garage. This can either be a GFCI breaker or a GFCI outlet. A big thanks go to our guest columnist Chuck for the GFCI section! Between the breaker and the outlet or Wall Connector is a run of wire. The safe wire size depends on the type of conductor (Copper or Aluminum), the expected maximum amount of current flowing through the wire, and other factors such as if the wires are exposed or installed within walls. Aluminum wire is cheaper than copper, but the wires must be thicker to carry the same amount of current. In addition, every type of attachment (breakers, outlets, etc.) must be specifically rated for use with aluminum wire (and many are not). Lastly, care must be taken to apply the correct anti-oxidizing paste. If aluminum wiring is not properly installed, over time it can cause dangerous overheating resulting in fires! For this reason, we strongly recommend use of copper wires for EV charging to avoid the risk of an improper installation. The Tesla Wall Connector is rated only for copper wire. Within Copper or Aluminum there are also multiple types, primarily relating to the insulation and temperature handling abilities. Generally, you want a wire rated for 75°C or more. 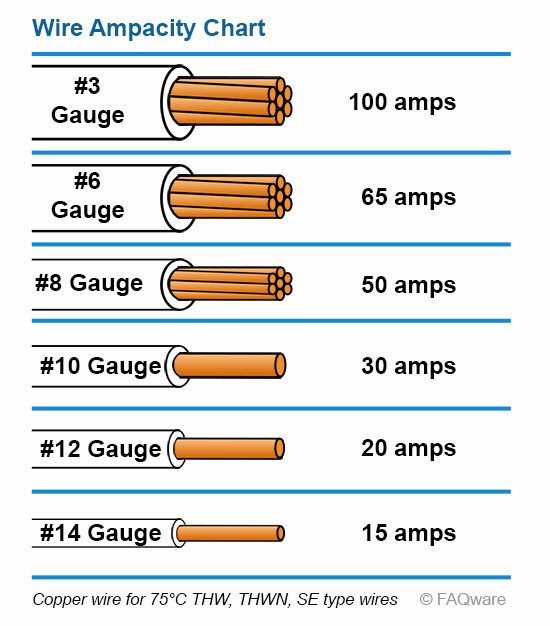 This ampacity table provides more details on current handling for a wide range of wires sizes and types. For the recommended wire, use the chart below. You can always go with a wire that has larger current handling abilities than specified in the code. A thicker wire has a smaller number, so a #3 wire can handle more current than a #4 wire. The amount of current being pulled by your charger heats up the wires, losing a small amount of power. A thicker wire has less resistance and less power losses. For lower power circuits, typically wires are bundled together with a plastic sheathing. Plastic sheathed 14/2 and 12/2 is commonly used for 120VAC circuits in homes. Sheathed cables are available for just about any size, but often the installation becomes difficult with thicker cables. Conduit can be plastic or metal but must be rated for electrical use. PVC plumbing pipe is never suitable and does not meet any electrical codes. There are also codes which may limit physical exposure to wires, so conduct may be required. Your electrician can determine the proper types for your specific installation. Ideally the wires should be one continuous run from the breaker to the outlet or Wall Connector. Code does allow for a spliced connection, so long as properly done and occurs within an accessible electrical box. With the high currents involved with charging, it becomes another risk point for failure and should be avoided if possible. An outlet must mount in a suitable electrical box. It can be plastic or metal, although some situations may require one or the other. For example, a metal box is required if using metal conduit or metal-sheathed wiring. Metal is also preferred for an EV outlet, as it is far stronger. Some codes may require plastic when mounted behind drywall between a garage and a living area. If sealed properly, it prevents toxic carbon-monoxide gas from ICE vehicles in the garage leaking into the home. Just another good reason to switch to non-toxic EVs! The size of the box is also important, and code requires the box be large enough to accommodate the wires and the outlet. The calculation is a bit tricky, but we’ve made a handy calculator for the required box size using NEC section 314. For example, if you use a NEMA 14-50, with three #6 wires and a ground, you’d need a box with at least 30 cubic inches. If you can’t find a metal box big enough, there are extension boxes, which look like a box with an open back. These are attached to create an even larger box. 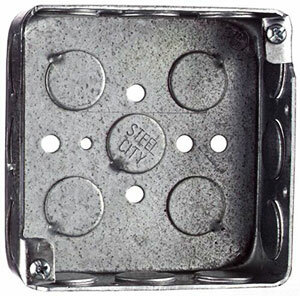 For surface mount installations, typically installed with conduit, some outlets are made that include the box as part of the outlet, which may be a better solution for some. If you are mounting the outlet outdoors, it needs to be installed with a rainproof enclosure. The enclosure must meet the NEC box size requirements too. If you run a non-metallic sheathed cable into the box, the cable must be protected with the proper hardware, so the sharp edges of the box do not cut into the cable. In addition, a ground wire must be physically attached to the back of the box. Outlets are made in three grades, residential, commercial and industrial. Once you or your electrician selects the outlet size, we strongly recommend using an industrial outlet. These are designed for many more insertions and removals with a far longer service life. These outlets can be costly, but we feel they are well worth it. NEMA 10-30 Adapters from Tesla are available, but due to the lack of a ground wire, we don’t recommend it. Use NEMA 14-30 if you’re adding a 30 amp connector. We recommend you hire a qualified electrician to evaluate your needs and complete the necessary work for a safe and quality charging connection. Armed with a bit of additional knowledge from this article goes a long way to getting exactly what you need. We also recommend you obtain a permit from your local city. While this adds a small cost to the project, it provides an inspection by the city to verify the work is done properly. If your electrician balks at getting a permit, perhaps you should consider another electrician. The electrician may price the project higher with a permit – partly because the electrician must do the job right, and partly as it may take some additional time to pull the permit and be on hand for the inspection. You may be able to save a few dollars by handling the permit yourself. Many cities even let you do this entirely online. While no one wants to spend money unnecessarily, doing it right is important. Should the installation cause a serious problem, having the proper permits and inspections may make it easier in dealing with insurance claims. Done properly, it may also increase the value of your home to a future buyer. Tesla maintains a list of recommended electricians that are trained to install Tesla charging equipment. Can an existing circuit be used? Does your home have enough power (remember, most charging is done when other appliances are not in use)? Should you upgrade to a higher-power outlet or Wall Connector for the future? Where to install the outlet for easy access to the left-rear charging port? You want copper wire, not aluminum. Ask for the cost difference of using thicker wire than required. Suggest an extra foot of wire be looped behind the outlet box in case you later install a Wall Connector. Decide who will get the permit and be on hand for the inspection when done. Consider if a whole house surge or lightning protector might be worth including in the project. The NEC (National Electrical Code) is a standard for the safe installation of electrical wiring and equipment in the United States. It’s the work of literally hundreds of engineers and scientists coordinated by the National Fire Protection Association, the NFPA, which comes out of the insurance industry. 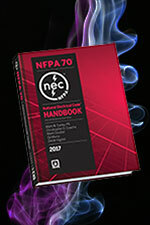 Quite a bit of the NEC is focused on reducing the risk of fire, for which the insurance industry often ends up paying. The NEC is not a law, but model for a local jurisdiction to use by the local building code’s compliance office. Many cities and counties adapt the code as a requirement for work done within the region. The code changes every three years, and states and cities may adapt these changes or may be 3- 9 years behind the latest code. In addition, a city can elect to skip sections or have additional local requirements. As there are slight variants in version of the NEC and local code, we can’t provide every option and detail. Your electrician should be up on your local requirements.